NEW YORK, May 30, 2018	(Newswire.com) - Inspired by a study proving the importance of scenery on learning and cognition abilities, Bike Rental Central Park, the company that offers group bicycling tours throughout the City, has released a guide on the 10 best bike paths in New York. “The study, conducted by The University of Michigan, gave two groups a cognitive test. After the test, they sent the groups out, one group through urban streets; the other in a garden. 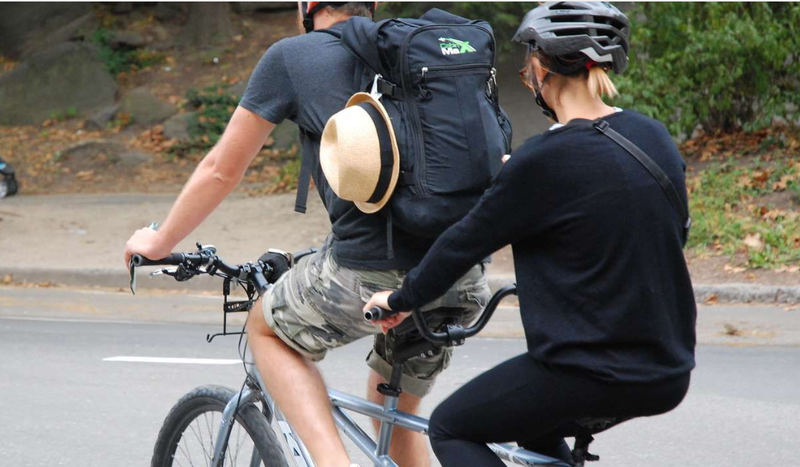 When they came back they were tested, and the ones who spent time in the garden scored higher,” said Bike Rental Central Park Spokesperson Blair Nicole. She added: "While trains, buses, and taxis may still be the predominant ways to get around New York City, biking has grown much more popular in recent years. New Yorkers take over 450,000 bike trips every day, and on many streets, there are more bikes than cars." The guide outlines 10 of the most popular bike paths, which include Governors Island, The Hudson River Greenway, The Rockaways and more. One of the most popular paths is The Central Park Loop. It explores the park’s 820 acres of attractions, exhibits and architectural gems, including The Great Lawn, one of the most famous lawns in the world having concerts for Diana Ross, the Metropolitan Opera, and the New York Philharmonic. Riders can also explore The Bethesda Fountain, The Bow Bridge, Central Park Zoo, The Museum of the City of New York, and over 20 playgrounds. Those longing for an extended journey can ride on The Pier 84 to City Island bike path. This path is about 18 miles long, riding in Manhattan, through The Bronx, and across the Hudson River. Spectacular scenery includes a huge bird population, a fishing village, and some massive Victorian mansions and a large selection of restaurants in City Island. Bike Rental Central Park has a fleet of over 500 well-maintained bikes that include all types, including mountain, tandem, and road, as well as all sizes. An all-inclusive rental package provides a map, helmet, chain lock and even a basket at no extra charge. In addition, the company offers bicycle tours of various locales including Central Park and Brooklyn, as well as a “New York By Night” tour.